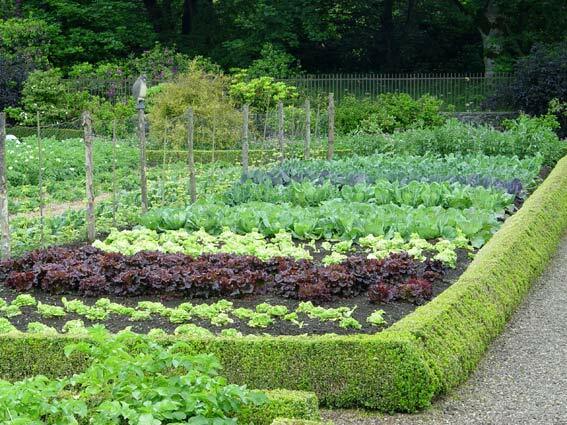 Prevent, control & manage weeds in a vegetable garden. Weeds, the enemy of gardeners. You get rid of one weed and another pops up a few days later. Weeds are the #1 enemy of vegetable growers across the world, procrastination is enemy is a close 2nd. Controlling weeds in a vegetable garden may seem like hard work but with a little preparation, you can keep it weed free in as little as 10 minutes per day. People often scoff when I say only 10 minutes but what takes 10 minutes one day will take 2-3 hours when it has been neglected for a week or two. One of the biggest secrets to maintaining a weed free vegetable garden is to spend those 10 minutes actually working in the garden, each and every single day. The reason most of us have a vegetable garden in the first place is to eat healthier and get some exercise, do 10 minutes every day. Weeds compete for water, growing space and nutrients with your vegetables. They also can be a haven for pests and diseases, there is nothing worse than have a batch of weeds ruin your long cared for vegetable garden. Prevention is the best cure and being prepared will help you prevent those pesky weeds from appearing in the first place. For certain vegetables you can use a plastic weed barrier. Tomatoes, cucumbers & peppers can all be grown this way. The plastic traps the heat from the soil and it will prevent vegetables from growing that don't grow in warmer soil conditions. Simply lay the black plastic weed barrier over your soil prior to planting and cut holes where the plants will grow. Watch out for weeds that continue to grow under the barrier and make sure you dispose of the barrier after the growing seasons has finished. Plastic does not decompose. 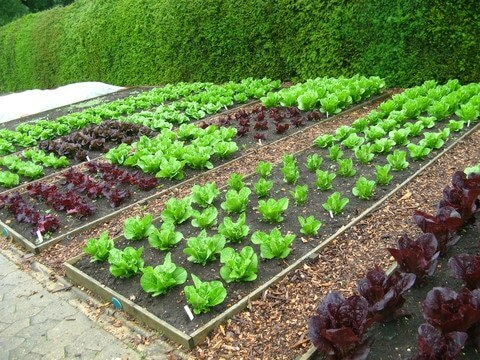 Lay a thick row of organic mulch in between the rows of vegetables. Newspaper 4 sheets deep seems to work well but the wind may be quick to see to that. wood chips, bark nuggets, straw or pine needles will all work. Whichever mulch you choose keep applying it. 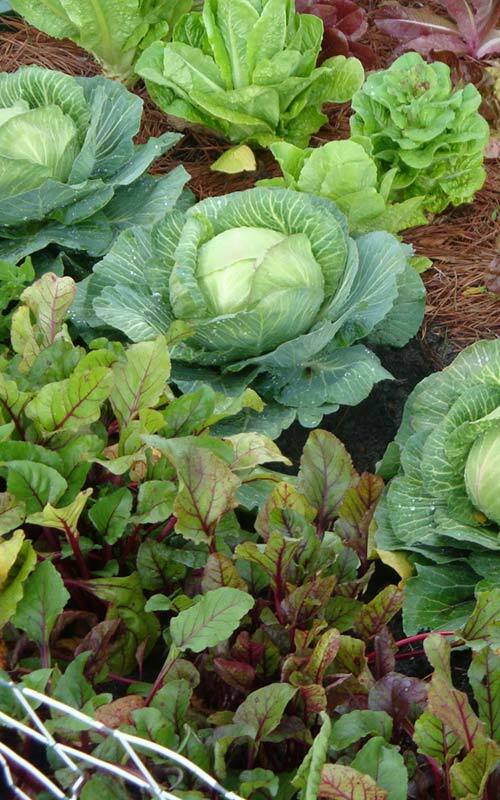 Your vegetables will benefit from a cool moist soil and the mulch will deprive the weeds of light, keep your mulch 2-3 inches deep and replenish as needed. Larger mulches may let light through. Cardboard and bio-degradable fabric will also work well. When the growing season ends it is worth using other plants, flowers or vegetables as cover crops. Cover crops will also provide valuable nutrients for next years vegetable garden when tilled in spring. Any uncovered soil will quickly be colonised with weeds and seeds ready for sprouting when conditions allow. Planting your vegetables closer together will choke out emerging weeds in some cases you can chop 25% off the recommended plant spacing. This may make your vegetables slightly smaller and don't do it with vegetables prone to foilar disease as it will spread easier. The best way to try this is to reduce the size each year and monitor the results. If they fail to grow quickly and healthily then reverse it. Using high quality soil and watering frequently should help lower the amount of weed problems. Raised beds also keep the soil a little warmer allowing you to plant earlier and grow faster. Since you'll be starting with fresh untouched soil there shouldn't be any dormant weed seeds. Containers such as pots and troughs also make great places to grow vegetables. You'd be surprised how many carrots or potatoes you can grow in a large trough or pot. Ensure there is plenty drainage holes (you may have to make more​) and you will require more added nutrients. Vegetable gardens can quickly be spoiled by weeds. It's important to eliminate them as quickly as possible. They will provide a haven for pests and diseases and will fight with your vegetables for nutrients, water and growing space, don't let them win! If the weeds have seed heads then remove them by hand carefully. Don't use a hoe otherwise you will be planting them with your hoe. For weeds that are pre-seed you can either pull them out by hand or by hoe. 10 minutes a day is all it takes. Don't put it off, do it now. A spray of Glyphosate based weed killer 2-3 weeks before planting will kill all currently growing weeds. It breaks down in the soil and kills down to the roots. Always read the label when using weed killers around edible plants. Preferably do it by hand, use weed killer only as a last resort in vegetables gardens. Prevention is the best cure.